He said the theater was his faithful wife, the movies his alluring mistress. His day job was as Sweden's top stage director, but occasionally he would kidnap his troupe of superb actors (Eva Dahlbeck, Max von Sydow, Harriet and Bibi Andersson) and make a film. From these vacations came some of the medium's grandest, most ambitious and most lacerating works: The Naked Night, The Seventh Seal, Through a Glass Darkly, Persona, Autumn Sonata. 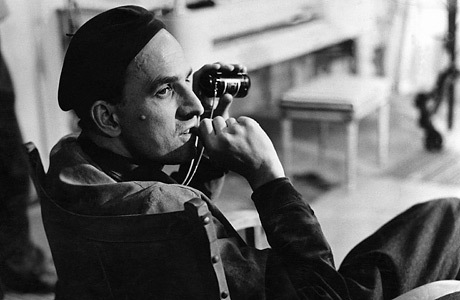 In more than 50 films over 60 years, Bergman turned his private obsessions into universal human drama and left an indelible legacy.